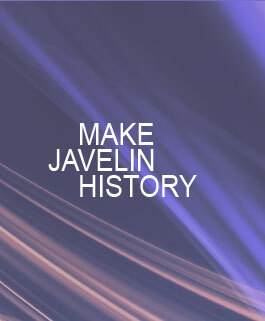 Javelin bag suitable for carrying 6 javelins. Color: Nemeth purple.Shoulder bag, zipper closed. Durable synthetic material. Available for 500, 600, 700 & 800 javelins. 73€ 230cm Javelin bag suitable for carrying 2-3 women javelins. Color: Nemeth purple. Shoulder bag, zipper closed. Durable synthetic material. 73€ 270cm Javelin bag suitable for carrying 2-3 men javelins. Color: Nemeth purple. Shoulder bag, zipper closed. Durable synthetic material. You can download our Accessories catalogue here: Nemeth Javelins Accessories Catalogue. All the prices above are without VAT (27%). If you would like to purchase javelins, please fill out this ORDER SHEET and send it back to us.